This tiny off-shoot of Farmerbrown is so well hidden down an alley in SoMa that you’d almost miss it—that is, if it weren’t for the scent of waffles wafting through the air and the constant crowds lined up outside the window waiting to get their fried chicken fix. 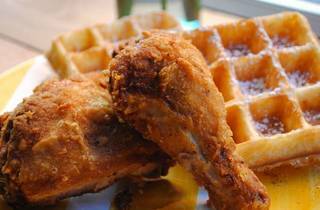 Two pieces of crispy chicken and two smaller Belgian waffles is $10.50, which makes for a perfectly filling (if not slightly indulgent) weekday lunch. 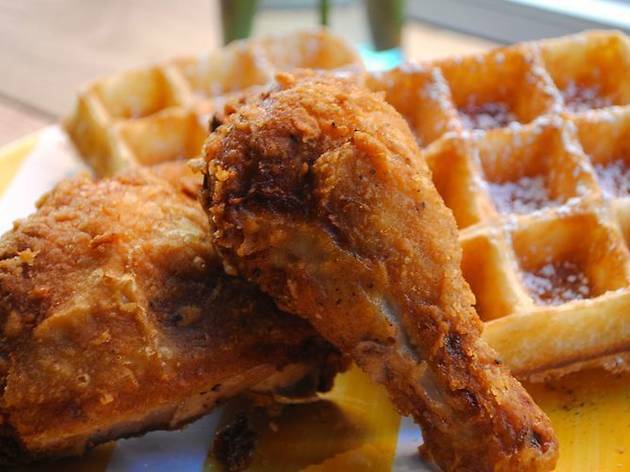 The good news for those who don’t want to eat their chicken and waffles while sitting on a loading dock is that you can now order and eat your grub at Victory Hall & Parlor, which is right next door.